The FNB Ikey Tigers found themselves on the wrong side of a comeback in Pretoria after starting their game against FNB Tuks on the front foot. At one point, the FNB Ikey Tigers were leading the game 23 – 0, but by the final whistle, FNB Tuks had managed to score fifty-one points and take their place at the top of the FNB Varsity Cup table. The visitor’s started the game well, establishing a fourteen-point lead early on after Lohan Lubbe converted both of Cuan Hablutzel’s first half tries. On his return to the team, Nyasha Tarusenga finished off an attack that originated on the Ikeys’ own try-line, giving them a 23-0 lead after Lubbe converted once again. 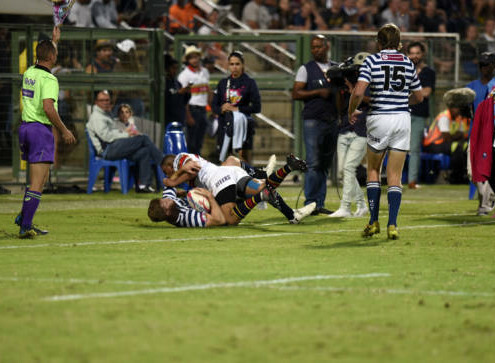 However, FNB Tuks didn’t take this lying down, and they took full advantage of the fact that the FNB Ikey Tigers had two players in the sin bin by scoring two tries before the halftime break. A try two minutes into the second half by FNB Tuks, as well as a penalty try, saw them take the lead early on in the second half. 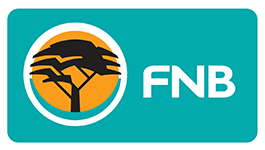 The FNB Ikey Tigers would go on to concede four more tries and a penalty try before the final whistle, with the game ending 51-23 to FNB Tuks. “We’re proud of how we started. We were able to put them under pressure, but our discipline let us down. We played with three yellow cards, and we just couldn’t get our rhythm back after that,” said coach Christiaan Esterhuizen. Unfortunately, the FNB Ikey Tigers have missed out on a semi-final spot in this year’s FNB Varsity Cup. They play their final game next week, on Monday the 27th of March when they travel to Johannesburg to take on FNB Wits. Lohan Lubbe, 14. Rayno Mapoe, 13. Joel Smith, 12. Hendrik Lategan, 11. Seb Roodt, 10. Rob Anderson, 9. Stefano de Gouveia, 8. Nyasha Tarusenga, 7. Kuyenzeka Xaba, 6. Jason Klaasen (c), 5. Gary Porter, 4. Duncan Saffy, 3. Michael Kumburai, 2. Cuan Hablutzel, 1. Wayrin Losper. Martin Chandler, 17. William Day, 18. Lee-Marvin Mazebuko, 19. Alva Senderayi, 20. Sanele Malwane, 21. Msizi Zondi, 22. Michael Henning, 23. Gerard Pieterse. Divan Rossouw, 14. Dewald Naude, 13. Toko Maebane, 12. Impi Visser, 11. Sibahle Maxwane, 10. Tinus de Beer, 9. Andre Warner, 8. Clyde Davids, 7. Chris Massyn (c), 6. Eduan Lubbe, 5. Aston Fortuin, 4. Brian Leitch, 3. Neethling Fouche, 2. Corniel Els, 1. Andrew Beerwinkel. Jan-Henning Campher, 17. Jaco Holtzhausen, 18. Marius Verwey, 19. Jsuan-Re Swanepoel, 20. Embrose Papier, 21. Keanan van Wyk, 22. Joshua Stander, 23. Gerhard Steenekamp.